Different different actors are coming and acting marvelously and talking dialogue in a style. Big crowd is surprisingly watching them in half-conscious. But the Drama Director, who stands on the side of the stage, will watch only the actor’s performance. In the same way, in Tamil Nadu the Election is going like Democratic festival. Political parties are running here and there, giving promise, they are handling many ideas to cover the Voters. Like Drama Director, the Election Commission is in charge to watch them. We can feel the conclusion of Election Commission’s enthusiasm on forcing the character rules in Tamil Nadu in the recent by-election held last year; we can feel the same conclusion now. The Election Commission has found above 3 lakh duplicate Voters and disposes them all. The Election Commission warned that eight thousand people have been received arrest warrant and got absconding. Some Illegal Propaganda (pracharam) Banners and Parties advertisement boards have been removed and controlled by heavy rules. After involving in Reviews by opposite parties, for supporting the Current government, the Election Commission has taken action on Chennai Police Commissioner for giving a single interview and enquire is going on. Voter ID card service has been initiated quickly. By the actions of Election Commissions, putting false vote will be mostly avoided. So voters can go to polling booth to poll their vote with secure feel. Election Commission is a healthy Government Machine. It’s good for our Democratic if we allow this Machine to work properly. Tamil Film Actor Jeeva was selected as Best Actor in the International Film Festival which held in Cypress, he got this award for acting in the Film Ram. This film is about the Love (passam) between a Mother and a Son. In a situation the mother was died in his house by unknown reason and the police arrest the son for killing his mother. Really did the son kill his mom, or who is the killer? is the story. This movie was participated in Cypress International Film festival. Totally 200 films have published, from this 11 films including Ram was selected for the awards. Yesterday they announced the best film, actor, actress, director form the 11 films which are participated. In this the hero of the film Ram was selected for best actor award. This is the second time that a Tamil Actor was selected as best actor in International Film Festival, world wide. Before this, Tamil actor Shivaji Ganeshan was selected as best actor for acting in “Verapandia Kattaboman” at International Film Festival which held in Egypt. After 45 years Actor Jeeva got this great noble for Tamil Film by acting in the Film Ram. The 10 days of intense competition, bitter rivalry, achievement and disappointment were finally ended with an emotional send off for the 18th Commonwealth games on Sunday night in Melbourne. The Commonwealth Games Federation flag was lowered and handed to Delhi Chief Minister Sheila Dikshit, were the New Delhi invites the world to be there in 2010 Commonwealth Games. On the field, India put up one of their best performances in recent times, winning a rich bounty of 22 gold, 17 silver and 11 bronze medals to finish fourth in the 18th Commonwealth Games. On the first day of the Commonwealth Games, after an expected gold slipped out of his hands in the 50 pistol pair, Samaresh Jung looked disappointed. It is to the credit of the 36-year-old inspector in the Central Industrial Security Force that he overcame the early jitters. Samaresh was the cynosure of all eyes grabbing 5 gold and a silver and bronze each but was rather unfortunate not to have equaled the existing record of Australian swimming hero Ian Thorpe and Susie O'Neill, who won six gold medals each in a single Games. Samaresh was one shooter whose confidence level increased on March 22 when he comfortable won the 10m air pistol event, each day that passed in the games even though a malfunctioning pistol denied him of a possible medal in the standard fire event on the last day of the event. For Samaresh, an Olympics berth, which he narrowly missed in 2004, is a dream. 3 records, two in pairs and one in 10m air pistol and ended the top medalist in this edition of the Games and was justifiable named the most outstanding athlete of the Games and honored with the David Dixon award. 22-year old Gagan Narang from Hyderabad remained the lone Indian athlete to achieve cent per cent success. His individual tally reads four gold medals, three of which were with new records to boot. Olympic silver medalist Lt Col Rajyavaradan Singh Rathore lost out on a gold medal in the double trap pair event due to stiff opposition coming three Olympians and a world champion but he defended his Manchester 2002 individual title in style. 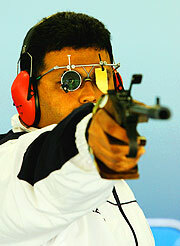 In the Trap final, Rathore stood tall for the gold with a tally of 181 (137+44). My Favorite season spring and Starting Summer has arrived, I love this season, no one will like the summer, because of the heat, but I like it very much for its fresh air. My house is facing the south, and the beach is also near, so every spring and summer season we get the sea breeze after 12.00pm every day. 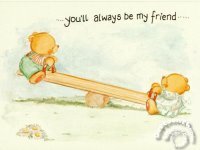 In my old house, I used to spent by afternoon in our balcony to enjoy the breeze, by reading books and playing board games with my aunty and there kids. Now the spring has arrived, and the same fresh air is coming, but I don’t have by aunty and there kids to share my happiness, in our new house. So I decided to share with you all, about this season will write about by happy days of this season in coming days. Last night I had a beautiful sleep, after watching the Tamil Movie Ram. Because this Ram movie was taken in my favorite Place Kodaikanal. The places which came in this movie remember by happy days when I spent my summer holydays in kodaikanal years back. I enjoyed the movie, and its background music and the beauty of kodaikanal. I never see a beautiful place like kodaikanal in my life. 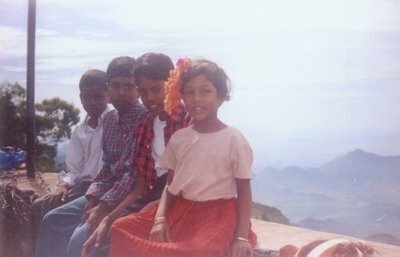 There are lots of memories stored in my head, I enjoyed every second of my life when I was in kodai. 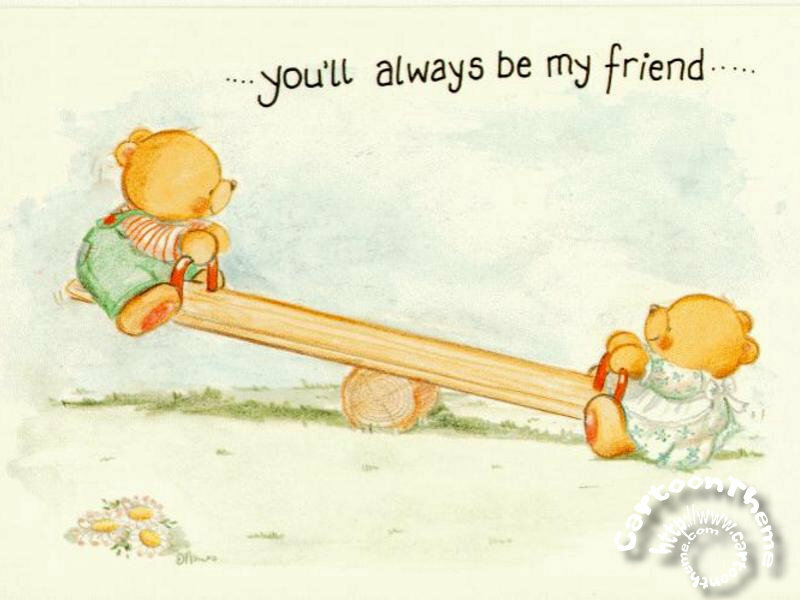 (I will share my, memories one day). Another thing I like in this movie is a dialogue “na kadavul pulla da” (I am the son of god). I was telling this dialogue repeatedly after watching the movie, even today, just impressed by this dialogue. When I was in school, after the weekend, I used to go school on Monday, after attending the Morning Prayer; our first discussion will be on the movie which we saw on Sunday evening in TV. Many students used to act like the hero of the movie, and tell the famous dialogue which comes in the movie. Many times our teacher finds us when we discuss about the movie, and give us slap on our cheek. I got many slaps. :( If I was in the school now, sure we have talk about this dialogue “I am the son of god”. Even we change this dialogue, and tell, I am the son of devil, and I am the son of blood ghost (rattha katari). Even the girls used to talk about the dialogue and act like that, we used to tease them (I haven’t teased any girls, I like to teas but I am very fear). The girls complain to the teacher, and the teacher give punishment for that boys and teacher never ask the girls what they did. It's a very fun days. We all know with out the transporting the world will not rotate. The reason for this is: revolution of transports. Like the development of transport, the accidents also raised ten times. Some years back the youth in Villages and Cities used cycle’s more, but now the motorcycle is changed as the youth’s favorite vehicles. Like this the office going people and some industrialist using the Motorcycles and Car’s for there comfort. Now a days the transport vehicle are used as a decorating object of there house. Because of this, we see over crowded to accidents are the main events on the road every day. The government and some Non-government organizations are involving in awareness in public to follow the traffic rules, and further they are pressing to wear Helmet while driving motorcycles. But many people or not obey the rules. Recently I have seen some young people are not wearing Helmets, some have removed there side mirrors and shorted there hand bar, because of this, they are loosing there balance and cant see the vehicle coming on there side and caught in the accidents. Except this there are many accidents occur on the people’s innocent. So we should put an end to our innocent things. For Example, on the no-moon day (amavasai) and on some festival days the roadside shops and street shops and some companies broke pumpkins on road to clear there bad things, so the vehicle which are passing on the same road used to travel on the pumpkins after a short time the vehicle skid on the road and face an accident. Mostly the people who travel on motorcycle and by-cycles get more struggles. Except this there will be a person who traveling on his motorcycle, at the same time his friend will pass on his by-cycle, after seeing his friend, the motorcycle guy like to help his friend, so he will take him on his bike, and his friend who is sitting on his back will hold his by-cycle on one hand and travel contemptibly. We can see this incident many on the road (mainly in India), that time if any prevention or electric post comes, one he will leave the cycle, if he leave the cycle it will fall on the vehicle which is coming back or they will dash on the prevention and get hurt. In motorcycle only two people should travel, sometimes only two person will travel, in this the person who is sitting on his back will carry an object or some board, and enclosure the road, because of this the person travel from back, can’t see what vehicle is coming in front. Except this in every vehicle the government has put rules how many person should travel, but we can see many people on road, carrying lot of persons in there vehicle. So now days the accident is an ordinary incidents in road, because of this there is not only loss of things, but also the life. If the accident occur on unavoidable situation its ok. The reasons which I told here are held by our careless. The count of accident are increased in this present times, in this the big reason for accidents is the people’s innocent. (This week at least 10 person have died in accident (in Chennai), most of them are hit on there head). To avoid the accidents we should find a good solution and spread it to public. Some youth’s in Chennai have recently organized a demonstration and act and show the public, how the accidents occur and also captured the shots in camera and conducted an exhibition in Chennai to show there photo’s and explain how to avoid the accidents and also conducted an awareness with the help of some Non-government organization. U can see some photo’s here which was took by the youths. They have taken an exertion and risk to aware our people, we should really appreciate our generation youths for there care on our people. I forget to tell one thing, now a days non matured (below 18) student are driving the bikes in high speed, so they skid and get hurt, so the guys below 18 should avoid driving bikes, because they don’t have practice, to control the vehicle in some critical situations . Why am I telling means, last week my brother also skids and wound in his hands, he is also below 18. I sent my views of Blogs to Hindu Metro Plus (supplement of Hindu newspaper) for Voice your Views column Blogs: Boon or bane. I dint expect that my views will come on Hindu Metro Plus, lot of people should have sent there views, very happy that they have selected my Views. Click here to see my views, who have not seen it in Metro Plus. World Day for Water, or World Water Day, occurs each year on March 22, as designated by United Nations General Assembly resolution. This day was first formally proposed in Agenda 21 of the 1992 United Nations Conference on Environment and Development (UNCED) in Rio de Janeiro, Brazil. Observance was expected to begin in 1993 and has grown significantly ever since. The UN invited its member nations to devote this day to implementing UN recommendations and promoting concrete activities within their countries. Each year, one of various UN agencies involved in water issues takes the lead in promoting and coordinating international activities for World Day for Water. With the UN Department of Economic and Social Affairs (UN DESA) coordinating, World Day for Water 2005 also marked the start of the second 'UN International Decade for Action for Water', also referred to as the Water for Life Decade 2005-2015. Last week I was thinking what to draw? 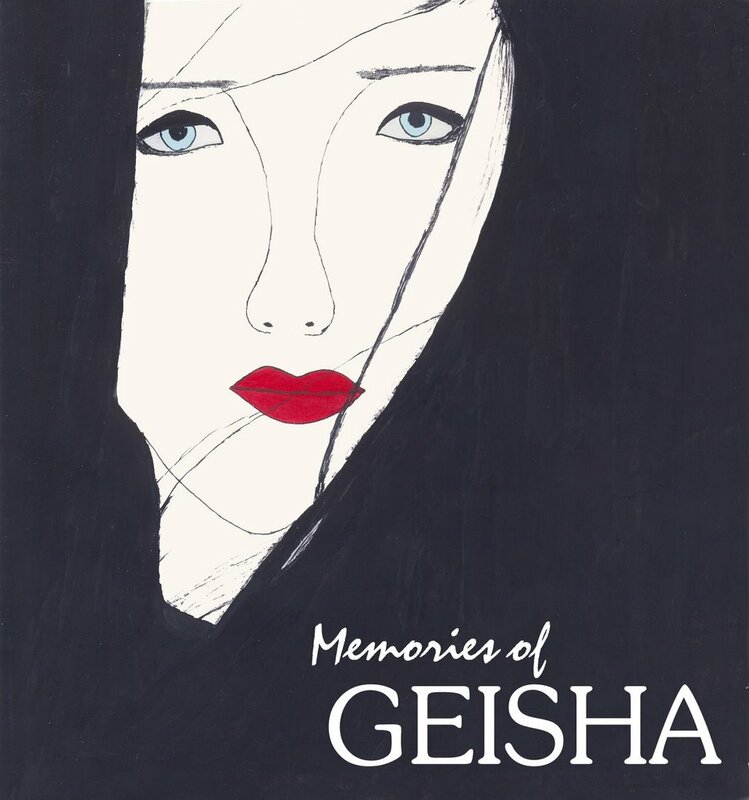 Found the AD of Memories of Geisha in paper and decided to try it. Finnaly came this girl. Wrote the words with the help of Photoshop. The AD of Geisha is below. AIR TEL kum BSNL kum kalyanam, antha RELIANCE officer ellam oorvalam, orvalathula aadi vararu AIR CELLU nattiyam, mela thalam adithu varathu BPLu towerungo. Namma HUTCH karar nadathi varar pathiyam, mapilan sontha bantham mesa kara SAMSUNG antha SEIMNSum, MOTOROLAvum galagalanu irukuthu. Ponnuku sontha bantham free call TATA antha SONYum ERICSENnum valavalanu irukuthu. Intha thiru manatha nadathi vaikum periya company yarungo thalaivaru NOKIYA thanungo. antha nethili podiya kaara podiya kalagalanu irukuthu. Penuku sontha bandham meesa kaara kaduma. antha manna ponnu vilangu meenin meenjuru thaanungo. Intha thirumanatha nadathivaikum thirukamalu annango. Intha manna makalai vazhthukindra periya manusan yaarungo ...? As on any Tuesday evening, it was rush hour after six at the Sankat Mochan temple in Varanasi on March 7. The couples had just tied the knot and were walking towards the exit when a powerful blast knocked them over. Everyone was screaming and trying to rush out. The place was spattered with blood and body parts. Two more blasts, within 10 minutes, rocked the Varanasi railway station. The witness said that a few students were making sketches of life on the platform when a bomb went off. There was a stampede and every one was running to save there life. 20 people died and more than 100 people were injured. Later the police defused two bombs one was away 20 meters from the Vishwanath temple and another form Gudaulia area, which has the busiest market in Varanasi. Preliminary investigations have established the hand of Pakistan’s ISI behind the blast. The case has been handed over to the Special Task Force of the police. The Home ministry said the blasts were very similar to the once triggered by Kashmir terrorists in Delhi last year and that the Lashker-e-Toiba hand could not be ruled out. The explosive used in the blast was ammonium nitrate. This explosive makes the task of security experts difficult for variety of reasons. First, it is very difficult to detect it. Second, it is freely available as it is used as fertilizer. Even as the police were looking for leads, many stories floated around the city. Two days later the police released the sketches of 2 suspects. Meanwhile, an unkown outfit called Lashker-i-Kahar reportedly claimed the responsibility for the blast. According to intelligence sources, the district administration and the state police had disregarded warnings after the Ayodhya attack in July 2005 that Varanasi was on the hit list of terrorist. A year ago in the city, 7 people were killed in a bomb blast at Deshaswamedh Ghat. The same day, the police found RDX near the Vishwanath Temple. The blame game has spilled over to political circles as well. 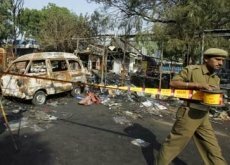 Minutes after the bob went off; BJP president Rajnath Singh said the blast were the result of the UPA government’s soft attitude to terrorism. Soon after, L.K.Advani was a link between the Muslim protests against the Danish cartoons of the prophet and the blast. And the next day the party called a Varanasi banth. Worst blast and the assaults on temples have also occurred during the BJP’s six-year rule in the Centre, but the latest blast have turned into the launching pad for the BJP’s return to Hindutva campaign. Advani decided to embark on a national integration Yatra. In this situation, his announcement of yatra to protest the Bomb blast in Varanasi has strongly organized the debate. I think because of this yatra, advanis is going to create this blast as religious problem. Congress view is that advanis yatra is on the aim coming Assembly elections. India has seen some bad incidents occurred in yatras; so it is going to impatient the country of Advanis yatra. It can come as religion problem, or some shocking things can happen or even it can come on integration yatra, it can expose in any shape, and spoil the countries affix gross peace. No nation lover will like to allow these kinds of problems in our country. 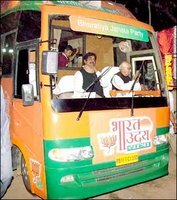 I think the court should enter on this yatra, before any incidents occur. Thiee or Poo Mithi (trampling fire) festival is very famous in South India. We all have seen people walk or the burning coals in Television, some movies or in live on some temple festivals. But have u heard of Animals walk on the burning coals? Yes that cruelty has held in “Namakkal” a district in Tamil Nadu. 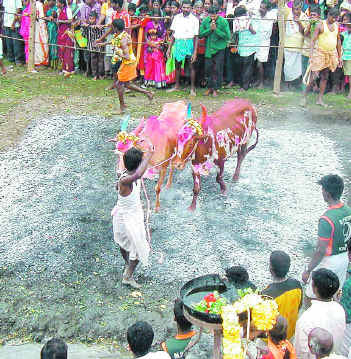 Nearly 50 head of cattle, mostly oxen, were forced to walk on the glowing coals in the `Poo Mithithal' (trampling fire), an euphemism for the fire walk ritual, at the annual festival of the Sri Varadaraja Swamy temple at Urambu village in Namakkal on Tuesday. The cattle owners hauled these frightened animals by their reins on the smouldering coals, which were constantly stoked to retain the fiery heat to seek the blessings of the God. These animals were forced to walk on this rectangular pit raised on the ground near the temple, which was full of burning coals. The very sad news is that a few animals had lost their balance and fell on the fire thus sustaining severe burns. A few sheep and goats also forced to walk on fire with their owners who guided them through the bed of coals. The `Poo mithithal' ritual is generally restricted to certain limits to human beings in other temples. The ritual, devotees believed, was to ensure the God's blessings to the animals and their owners too. By walking on the fire, the cattle would be in the pink of their health, and also would help the farmers to carry out a good ploughing in their fields. A few others pulled their well-built bulls on the burning coals to ensure victory in all the forthcoming “jallikatu” (bull taming) festivals. I think these hope are eye closed superstition. We human beings could maintain a balancing act while walking on the fire to minimize the burns whereas the animals could not do. Really it is a act of cruelty to Animals. 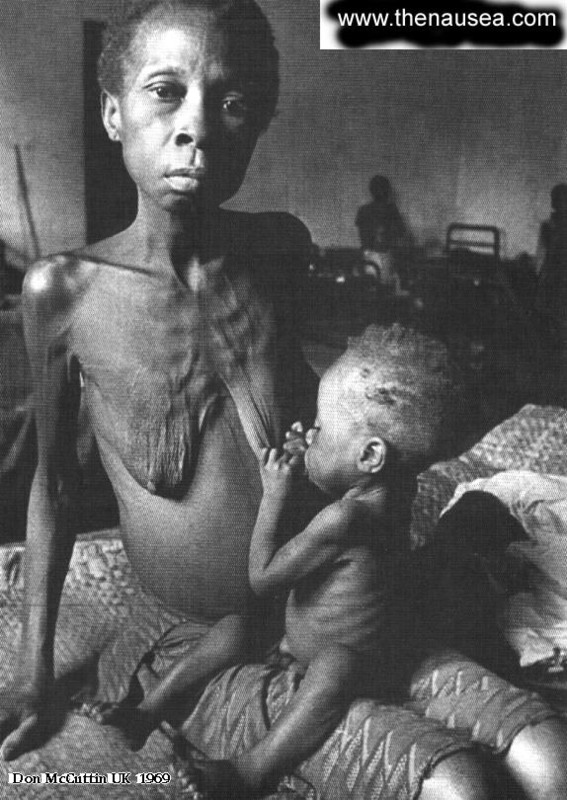 Skin covered bone, mother give milk to there child with there wither breast, people are standing in miles to get food. Like this we are seeing many photos in many Blogs and in Televisions recently. These scenes are from country Somalia. Somalia is an African country. In this country’s total people population 70percent are living in unfavorable or poverty. If we take four person in Somalia, in this we can get protective water for only one person. Medical facilities are very worst; if any diseases attack them the only way is death. For 25,000 people there is only one doctor. Doctors and medicine are big scarcity, because of this the people who face the death is very high. In the total in population 60percentt people are living in slum. This history drought in Somalia have described as extreme of humanity. Here averagely at least 200 people are dying every day. Approximately 44 lakhs people are dying and living in hunger and cruelty every day. Somalia’s destitute should walk to reach the organized destitute centre which was separated for them. There are a lot of stories that many people who have died in there way to the destitute center. There are lot of children’s have died when there Leg depression when they stand and moving on the long row to get food. This is the worst human cruelty which we haven’t seen in the history. The heart breaking news is, in Somalia’s four by one contribution children’s dint saw there 5th birthday. Unsettled politics and droughts are the main reason for the people in Somalia to face this situation. After the Presidents Siyaithpara rule was dissolved in 1991, the violence takes the people to support the anti agitators. Anti-agitators took the food grains, which was supplied to people and sale it to highest rate. 1kg of rice which was sale Rs.20 two years back, but now it raised to Rs.280. Thousands of people have died in diseases and hungry related diseases. People eat dry grass like Bulls, eat cloths, and goat skins to save there life. For all this cruelties, I think the human’s mistakes are the only reason. The drought not only affect Somalia, also affected many African countries like Kenya, Ethiopia, Eritrea, Burundi and Tanzania. The UN report said that approximately 1.7 million people are in need of urgent assistance and protection in Somalia. The United Nations and other humanitarian organizations are providing assistance in various sectors (food, livestock and agriculture, health, nutrition, water and sanitation) in the regions they have been able to access. This is not enough; the Developed countries should come forward to help them. But all developed countries are only taking about the Terrorism, how to win in election, searching for reasons to put Wars and create nuclear energy. No one is thinking about the Africans. Really it was like honey passed through our ears, because of the recent order from Supreme Court on the issue of Mullai Periyar River problem. “Should raise the water level of Mullai Periyar Dam” this is the long day’s dream of the farmers in south Tamil Nadu. 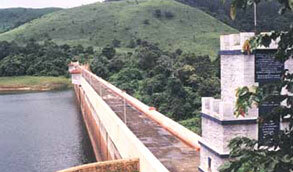 For this dream, now the Supreme Court has ruled to raise the water level from 136 feet to142 feet in Mullai Periyar Dam. The 9tmc water which flows form Periyar Dam changed the drought faced lands as Agricultural land in the districts of Madurai, Sivagangai, Dindukkal, up to Ramanathapurm. After 1960, the irrigation area extended in south Tamil Nadu, many kind of demands were raised, at this time of judgment again another obstacle. Against the order of Supreme Court, The Kerala has called all party meeting and decided to correct the Kerala State Dam security Law in assembly on March 14 (today). 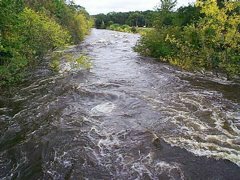 In the election time, the all parties in Kerala has raised there voice, if we raise the waterlevel in Periyar Day it will affect us. We should not leave our rights, so the people in Tamil Nadu should protest on Kerala’s decision to correct the Law on Mullai Periyar Dam. Last night I got a dream, that the Indian Tennis star Sania Mirza was come to Chennai to play in Chennai Open Tennis, so I went to stadium to see how sania plays, after beating her opposite, she crossed the way were I was sitting, I call her and ask her autograph and I was explaining her why I like her, I told that I am closely watching all her tournament and her achievement in the Tennis and I like her bating style and how her father sacrifice his life for sania achievement. She took photo with me and she also give me her personal ID and told will chat afterwards in free time, just I feel very happy, if this dream comes true, how it will be? Hum..
kuda kuda vanthaay vennilave velli velli nilave nachaththira pattaalam kuttikondu vanthaay… very sweet lyrics and the song Uyirile enathu Uyirile Oru thuli... these two songs are very melodies. The song Neruppae sike muku Neruppae... and Karka Karka song is like Pop music. Sunday watched the Hollywood movie “Buffy The Vampire Slayer” on the Star VijayTv, where a girl get training and kill the Blood sucking Persons who kill the people. And watched y favorite Tamil movie Gemini, on SunTv, enjoy the scenes of Kalabavan Mani mimicry, Vikram fights and songs. On Saturday night watched Special Gold Hunting where the participants all are achived womens the first Women Bus Driver, Auto Driver, Train driver, a boxer, knife fighter, welder, bike mechanic ect.. very nice to see so many self-confident peoples. Read some chapters form Da Vince Code. Finaly the weekend went fine. Encountering Camille Pin, Sania learnt that winning is all that matters, eventually. After long days (last post on Sania’s birthday) I am posting about Sania Mirza. It is a surprise that Sania Mirza's legion of fans return after every performance emotionally intact. Watching her game, one experiences extreme emotion agony and ecstasy, anger and awe sometimes, over the course of just one shot. What starts off as a rally-ending killer could find it trapped in the net. Until the ball has landed, its fate cannot be predicted. Sania is no magician, but a destroyer with a single weapon (her forehand) that could work both ways. After the Dubai match Martina Hingis saw it (her forehand), and thought that I (Hingis) should do something different. But against Hingis, the signs were encouraging. She dropped her idea of not playing drop shots and mirrored a number of Hingis' touch and goes ones. It was far from perfect, but the idea was good and a few more of those could bring in the much-needed variety, making the person across the net think beyond converting Sania's forehand into a vestigial part of the match. Besides that, with the amount of effort that she puts into a shot, it is a criminal waste, letting it fly outside the baseline, or halt its almost flat projectile. If nothing, her elbow will be more than thankful if the ball just about kisses the racket on a few occasions. After one year, a WTA title and a few seed-crushing bouts in the world of top-level tennis, things could not have gotten tougher for the 19-year-old Sania. Two first-round losses in Sydney and Dubai and second-round losses in Melbourne, Paris and Bangalore do not make for pleasant reading. After being forced to look to the skies to counter Camille Pin's exaggerated lobs in Bangalore, Sania would have learnt an important lesson. Winning is all that eventually matters. In Bangalore, it didn't matter that she was leading 5-3 in the second set after winning the first. It didn't matter that as far as talent went, she would have dwarfed her opponent. All that mattered was winning, which her opponent managed effectively. It was a different kind of a match. She did what she had to, to win, remarked Sania. Sania guess that she has to learn and practice more on how to play such players. For her sake and for ours, we hope Sania does. Sania Mirza marked her return from an elbow injury with a come-from-behind victory in the women's doubles of the $2.1 million WTA Tour Pacific Life Open at Indian Wells in California, USA. The Sania, who suffered the injury on her serving arm two weeks ago, partnered Ai Sugiyama of Japan to defeat Anotonella Serra Zanetti of Italy and Stepahnie Foretz of France 4-6, 6-4, 6-4 in the first round of the Tier 1 event yesterday. 2. Post Graduate Institute of Medical Education and Research, Chandigarh. 4. Christian Medical College, Vellore. 5. National Institute of Mental Health and Neuro Sciences, Bangalore. 7. Indraprastha Apollo Hospital, Delhi. 9. P.D.Hinduja National Hospital, Mumbai. 9. 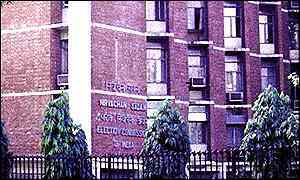 Escorts Heart Institute and Research Centre, Delhi. 10. LV Prasad Eye Institute, Hyderabad. But I can’t agree on this list, it clearly shows, this survey dint toke form Lower middle-class people or the Poor. No lower-mid-class or poor people will go to Apollo or Lilavati hospitals were the Bollywood star Amitab Bachan was admitted recently. I know the treatment will be very good in these hospitals, at the same time, we should be ready to spent more money. Asian Institute of Gastroenterology, Hyderabad. P.D. Hinduja National Hospital, Mumbai. International Women's Day, March 8th is an occasion marked by women's groups around the world. This date is also commemorated at the United Nations and is designated in many countries as a national holiday. When women on all continents, often divided by national boundaries and by ethnic, linguistic, cultural, economic and political differences, come together to celebrate their Day, they can look back to a tradition that represents at least nine decades of struggle for equality, justice, peace and development. International Women's Day is the story of ordinary women as makers of hitory; it is rooted in the centuries-old struggle of women to participate in society on an equal footing with men. In ancient Greece, Lysistrata initiated a sexual strike against men in order to end war; during the French Revolution, Parisian women calling for "liberty, equality, fraternity" marched on Versailles to demand women's suffrage. The idea of an Women's Day first arose at the turn of the century, which in the industrialized world was a period of expansion and turbulence, booming population growth and radical ideologies. The Charter of the United Nations, signed in 1945, was the first international agreement to affirm the principle of equality between women and men. Since then, the UN has helped create a historic legacy of internationally-agreed strategies, standards, programmes and goals to advance the status of women worldwide. Over the years, the UN and its technical agencies have promoted the participation of women as equal partners with men in achieving sustainable development, peace, security, and full respect for human rights. The empowerment of women continues to be a central feature of the UN’s efforts to address social, economic and political challenges across the globe. For the +2 students how many disturbance and how many dilemma. The reason for this is the argument between the Tamil Nadu Government and Court for the last one year on conducting the Common Entrance Test (CET). For joining in Medical, Engineering inclusive some Technical cources the government is conducting Entrance Test for above 20 years. Last year the Tamil Nadu governments canceled the Entrance test and command pass order in Assembly. The government has the reason for canceling the Entrance test, because the rural and poor students are affected by this CET, the students have to join in the special Tuitions for studying the entrance exam, and so the rural and poor students don’t have much money to pay for special tuitions. But the government said that the CBSE student should write Entrance Exam. So the hundreds of CBSE students toke this matter to Court against Tamil Nadu government. The High court strictly orders to conduct the Common Entrance Test. Recently the government takes this problem in hand and canceled the Entrance Exam and enforced a new law in assembly. In educationalist side they have different thoughts on this issue, and some said this law was enforced by the government on the emergence of Election. Some days back the Madras High Court announced, the Tamil Nadu government law on CET is in valid. After hearing the high court order, the Tamil Nadu government has applied to Supreme Court to cancel the High Court order. At least 6 lakhs students are writing the +2 Exam now; in this situation the courts announcement have chaos (kuzappam) the students and there parents. Within 2 months (in May) to go for election, and many announcement are coming. At the same time for 6 lakhs students they (the Court and Government) should show a way to write the Entrance exam with out any tension. This is there life. Will the government and court will clear there chaos? The Academy Awards will be handed out in Hollywood Today, in Los Angels. Now in its 78th year, the ceremony has long fascinated movie fans with its mix of glamour, suspense and surprise. Brokeback Mountain leads the nominations with eight. It is the most open Oscars race since 2000, the last time a film topped the list with eight nominations (American Beauty). The leading films in subsequent years have received between 11-13 nominations each. It is a good year for Oscars newcomers 14 of the 20 acting nominees have not been nominated before, the highest number for nine years. The remaining six have 13 previous nominations and four awards between them. It is a good year for low-budget films only one of the best picture nominees had a budget over $15m (£8.6m), according to the Internet Movie Database. Munich is the most expensive, with a reported $75m (£43m) budget. Among the best picture nominees, Crash led the US box office takings at the time of the nominations with $55m (£32m), followed by Brokeback Mountain's $42m (£24m). For the first time in 25 years, all five nominees for best picture have also been nominated for best director only the fourth time in Oscar’s history that the shortlists have been the same. At 71, Dame Judi Dench is the oldest best actress nominee since 80-year-old Jessica Tandy won for Driving Miss Daisy in 1990. Dame Judi is nominated for her role in Mrs. Henderson Presents. Keira Knightley, 20, who is shortlisted for Pride and Prejudice, would be the youngest best actress winner if she won. The current record is held by Marlee Matlin, who won for Children of a Lesser God in 1987, aged 21. If Heath Ledger wins best actor for Brokeback Mountain, the 26-year-old would be the youngest winner of the award. Adrien Brody, who was 29 when he won for The Pianist in 2003, currently holds the record. Ledger's girlfriend Michelle Williams is nominated for best supporting actress. The pair met while filming Brokeback Mountain and had a daughter in October. George Clooney is the first person to be nominated for acting in and directing different films in the same year. He is up for best supporting actor for his role in Syriana, plus best director and best original screenplay for Good Night, and Good Luck. Clooney is only the fifth person to be nominated for acting, directing and writing in the same year - following Orson Well’s (1942), Woody Allen (1978), Warren Beatty (1979 and 1982) and Roberto Benigni (1999). With Munich, Steven Spielberg has produced a total of five films with best picture nominations - one behind record-holder Stanley Kramer and tied with Francis Ford Coppola. He has also been nominated for best director six times. Woody Allen has received his 21st career nomination for best original screenplay for Match Point. He has received more screenplay nominations than any other writer in Oscar’s history with 14. He has also been nominated for best director six times and best actor once, winning a total of three times. Composer John Williams has more career Oscar nominations than any other living person with 45. 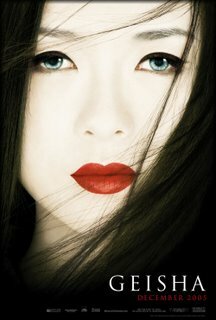 That includes two nods in the best original score category this year - for Munich and Memoirs of a Geisha. He has won five times. Last night DMK chief M. Karunanidhi announced he has allotted 22 seats for MDMK, but the MDMK asked 25 seats. Today morning, the MDMK general secretary Vaiko had met Chief Minister Jayalalithaa and joined in his alliance. The ADMK allotted 35 seats for MDMK. This is a big turn in politics. Already the leader of MDMK are not liked to alliance with DMK, there is a rumor that DMK is not giving respect for Vaiko and they don’t like to alien with Vaiko. Our Vaiko has taught DMK a lesson by joining in the ADMK. If any body get alliance with us we should respect them, but the DMK has failed. I am a fan of Vaiko, I am watching is activities for last 3 years, he had done many good help for farmers and likes to see the peace in Sri Lanka. The Assembly Election to Tamil Nadu in May. end. Whether he stays in the coalition or leaves it, Vaiko is bound to lose. A split in the party is imminent if Vaiko decides to remain with the DMK. While one section wants him to stay on, another wants him to opt out. Whatever decision he takes would lead to a split. Seat sharing, as always, is a prickly problem for the alliance. It is reliably learnt that while the PMK has demanded 40 seats the Congress has asked for 40, the Left Parties 25 each, and the MDMK, 30. Informed sources in the DMK, how ever, said the party would concede 35 seats to the Congress, 24 each to the PMK and the DMK, and 7 each to the Left parties. That would leave the DMK with 135 seats to contest and hope to win 118 of them for a simple majority on its own. Clearly, not many parties are going to accept this arithmetic. We are determined not to settle for anything less than 10. It is time the Left parties asserted themselves, said a senior CPI leaders. The PMK is also determined to get more seats since it feels it has positioned itself strongly in the northern districts. Meanwhile, Chief Minister Jayalalithaa has adopted a different strategy to attract the masses. And, film personalities, including actors Vijayakumar, Murali and Senthil and director-actor Manobala are making a beeline for the AIADMK office. (On Jayalaithaa’s 58th birthday the Actors pulled Temple Cart). Some actors are expected to get tickets, too, But I think the party use them only for propaganda. The chief minister has also announced a slew of Public welfare measures. She allotted 9 seats for The Dalit Party, Freedom leopard by Thol. Thumavalavan, she is also likely to align actor Vijayakanth’s party, but Vijayakanth announced to contest on his own all 248 assembly. The Actor Karthick who has joined in the Forward block is ready to alliance with the two main party, if they dint call him, he decided party contest in its own. Even so, she would have a tough time combating the seven-party alliance led by the DMK. From January the Chief Minister Jayalalithaa announcing new projects and schemes for people. She has giving back some concession to Government servants and teachers, which she toke form them 3 years back, and introducing concession for Farmers, this is all in the mark of coming elections. The chief Minister Jayalaithaa hope on its 5 year rule and announcing good schemes for people. The DMK is hope of its alliance and the DMK minister in central doing some useful things for Tamil Nadu, like digging Sethusamutharam shipping canal, which is going to give a good future for Thuthukodi Harbor, but I hate this project, because they are destroying the nature and some special sea life by digging canal. All media and papers are announcing flurry news about the election and the parties’ alliance. If the old politicians and old people give way for youth, and encourage them to participate in election, we can see a good future for Tamil Nadu. After having discussion with all parties, the Election Commission announced May 8, as the election date for Tamil Nadu Assembly Election, and decided to conduct in one spell. Nomination commencing from April 13 and closed on April 20th. For the first time, the EC has decided to change the marking of indelible ink which would now run from top of the nail to the bottom of the first joint of the left forefinger of a voter. The EC has instructed the state authorities not to allow any civil or police official above the rank of sub-inspector to be in his home district during the poll period. Instructions have also been issued that such officials would not be allowed to continue in the same district if they have completed three years of posting there during the last four years. Instructions have also been issued to videograph all critical events during the poll process and polling at sensitive and hypersensitive booths. Digital cameras would be installed inside the booths depending upon their availability. Now all political parties are trying to get alliance with the main parties, DMK and AIADMK. The more the merrier, but not for Dravida Munnetra Kazhagam DMK which leads a seven-party alliance in Tamil Nadu. The allies the Congress, the Pattali Makkal Katchi (PMK), the Marumalarchi Dravida Munnetra Kazhagam (MDMK), the Communist Party of India (Marxist), the Communist Party of India (CPI) and the Indian Union Muslim Leagur no doubt can help the DMK win more votes, but they can also poke it in the eye. The MDMK, especially, has an uneasy relationship with the DMK, and some of its leaders contacted All-India Anna Dravida Munnetra Kazhagam AIADMK leader and Chief Minister J. Jayalalithaa, in a bid to cross over. DMK chief M.karunanidhi’s statement that MDMK leader Vaiko had not approached him to discuss seat sharing for the coming Assembly election showed trouble brewing within the alliance. 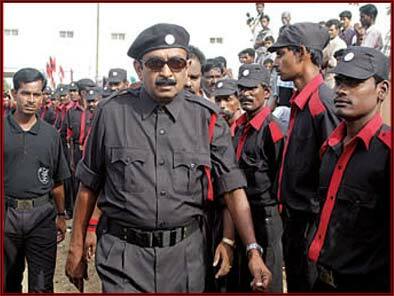 After a few days of confusion and skirmishes, Vaiko said he was still in the alliance. According to an MDMK insider, Vaiko changed his mind at the last minute because Jayalalithaa had insisted on his speaking out against the Centre during the election campaign. CPI (M) leaders, too, played a part, reminding Vaiko that his credibility would suffer if he joined Jayalalithaa who had jailed him under POTA for over two years. Finally the US President arrived India today night at 8.10pm IST in Air Force One and landed on the Indira Gandhi International Airport in Delhi, after a surprise visit to Kabul. I thank NDTV to relayed the President’s arrive live. 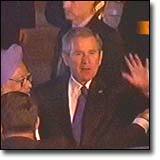 Our Prime Minister Manmohan Singh welcomed the US President Bush, Lara Bush and Secretary of State Condoleeza Rice. Our President Abdul Kalam is missed in the welcome. About 5,000 personnel including snipers, commandos and US marines using helicopters, bomb detectors and electronic jammers will protect Bush during the tour.